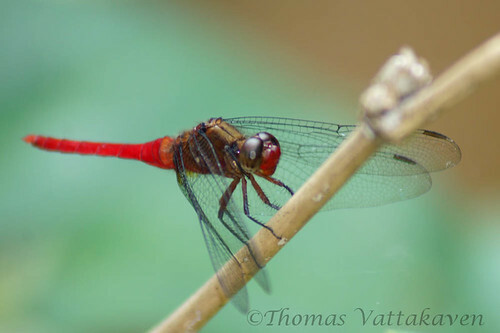 This is the first dragonfly to be featured on Nature magnified, and it appears to deserve the honour! 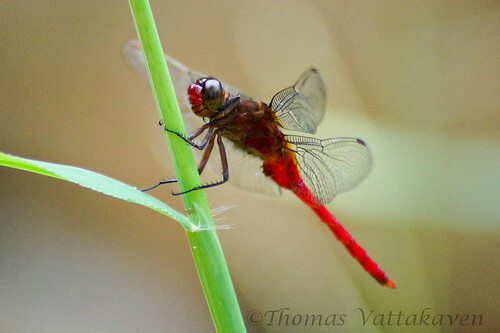 The Brown-backed Red Marsh Hawk (Orthetrum chrysis) is a medium sized dragonfly with a blood red tail and brown thorax. Its eyes are coffee brown above and bluish grey below. The wing bases are an amber colour and the wing spots are a dark reddish brown. 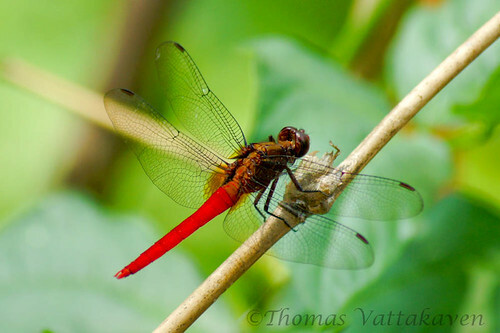 These dragonflies are widely distributed throughout India and are commonly seen around marshes, ponds, paddy fields and stagnant parts of rivers and streams. Congrats on your first dragonfly post! 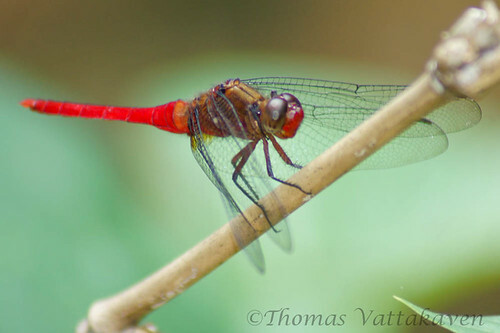 This looks like the common dragonfly you see in India. I had a lot of difficulty shooting this one since it flies off at the slightest movement. Anyway, you've done really well and managed to grab awesome macro shots of it! Well Done!!! Thanks Shawn. I could do better with a macro lens :). Thanks Angad for letting me know. Flickr sometimes plays up like this. I hope its sorted now.